Victor Emmanuel Frank, late of Ogema, SK, passed away on August 8, 2018 at the age of 90 years. Victor was predeceased by his parents: John Henry and Susannah Frank; his brothers, one in infancy, Henry and Fritz; his sisters: one in infancy, Maria Luebke; Amolia Tondevold; Bertha Klatt; granddaughter Elizabeth Frank; son-in-law Dale Yanke; sisters-in-law: Dorothy Frank and Ruby Frank. Victor is survived by his loving wife of 62 years, Isabella (Park), and their family: Carol Yanke, Calgary, AB, Terry, Saskatoon, SK, John (Susan), Rouleau, SK, Andrew (Debbie), Ogema, SK; grandchildren: Curtis and Tamara, Leanne and Tim, Tyler and Kaitlyn, Johnathon, Cierra and Katie Marie; great -grandchildren: Hayden, Hunter, Atley, Keaton, Kaybree, Amelia and Rylee; one brother Jacob, Kamloops, BC; sisters and brothers-in-law: Ann and Edgar Selby, Jean and Wayne Ulrich; along with numerous nieces and nephews. Victor was born on the farm located on section 28-09-23 W2nd near Dahinda, SK. He was the youngest of a family of nine. He attended school at Mount Joy, Ogema, and Fell receiving his grade eight diploma. Victor was a Master Parts Manager for Massey Ferguson during the years that he worked with his brother Fritz Frank at Fritz Frank and Son Sales. He was well known all over the area for his knowledge of parts numbers and what the ladies needed when they came into the shop for repairs. Victor purchased the Ogema Hardware in 1971 and opened the doors in 1972. 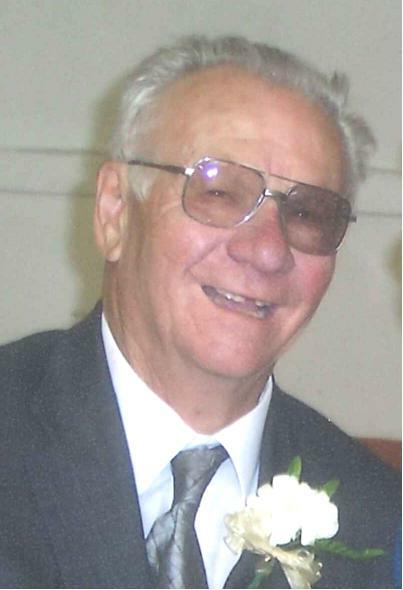 Victor was a member of the Ogema Chamber of Commerce, Town Council, served on the Credit Union Board for 33 years, the Ogema Rink Board and in 1976 was an original member of the Ogema Saskatchewan Housing on which he served for 37 years. He was a devoted member of St. Luke's Lutheran Church. While on Town Council, he was one of the instigators in getting the water and sewer to the town as well as planting numerous trees along the boulevards. He will be remembered for his love of family, crib, 500, along with other card games. A Service of Remembrance for Victor was held on Wednesday, August 22, 2018 at 11:00 a.m. from St. Luke’s Lutheran Church, Ogema, SK with Pastor Irwin Pudrycki officiating. Interment followed at Ogema Cemetery, with luncheon at the Heritage Hall, Ogema, SK. For family and friends so wishing, charitable donations in memory of Victor may be made to the Lutheran Hour Ministries, 270 Lawrence Avenue, Kitchener, ON, N2M 1Y4 or a charity of the donor’s choice.